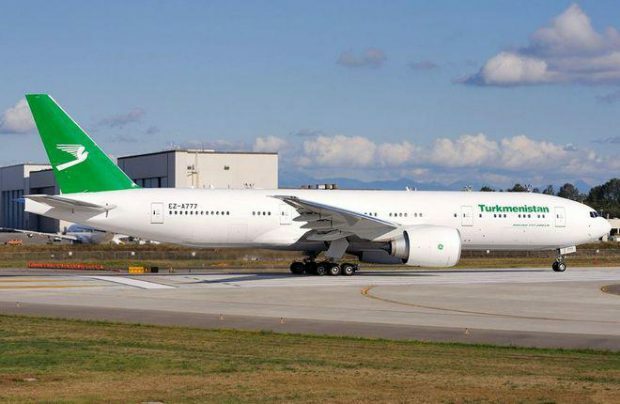 Turkmenistan Airlines, the flag carrier of Turkmenistan and a subsidiary of state-run Turkmenhowayollary holding company, has been turned into a joint-stock company by a presidential decree, according to the government portal Turkmenistan: Golden Age. The decree reads that the carrier is now a public joint-stock company. Turkmenhowayollary, which controls the lion’s share of the company’s aviation-related activities, remains in control with a majority stake of 70%. The remaining stock is shared between Ashgabat International Airport (27%) and a government service (3%). The change of ownership became possible following the introduction of amendments to the country’s air code in 2012; the changes obligd the country’s civil aviation sector to obey the market rules. The new regulations allow for private ownership of aircraft, airports, equipment, and leases. Turkmenistan Airlines currently operates a fleet of over 20 Boeing 737, 717, 757, and 777 airliners. The ongoing government-funded civil aviation development program for between 2012 and 2030 is aimed at increasing the country’s investment appeal, with the carrier’s total fleet to grow to 40 aircraft. The airline is expected to acquire regional airliners while phasing out obsolete types.